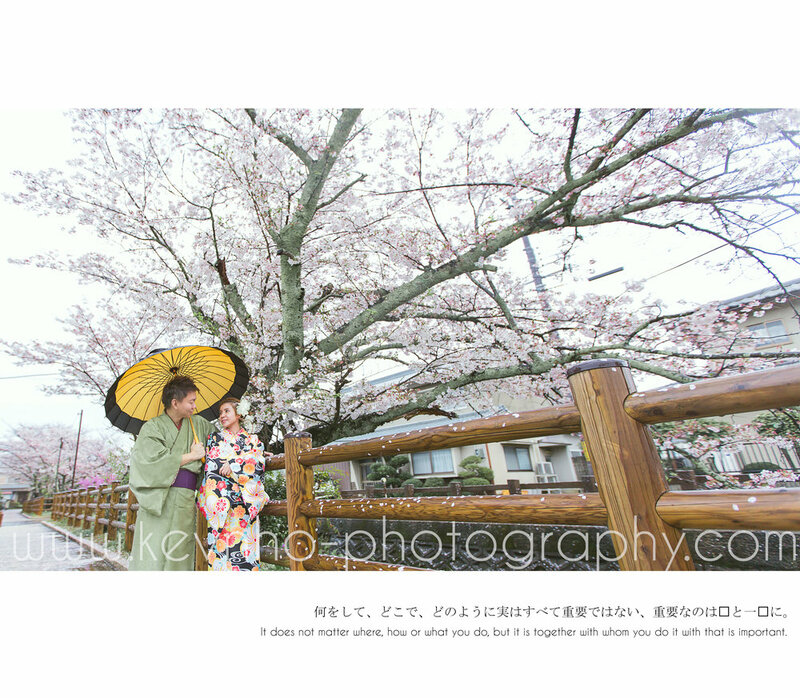 This blog post is long overdue, have been wanting to write about our Japan pre-wedding photoshoot with Jacky & Valen for a long time, but just haven't found the time. But here it is, finally! Hope you all like it! We landed in Osaka after a long 6 hour flight from KLIA and our 1st day was basically to clear customs, grab our rental car and check in to our homestay at Asuka Village, Nara. We of course managed to have a little walk around, visiting the nearby beautiful sakura trees, which were in full bloom when we arrived (hooray!) and trying out some of the local delicacies. We were super lucky, as the Sakura trees were in full bloom when we touched down! Our ride, a Suzuki 7 seater. Cozy house, Asuka Village, our 1st accommodation in Japan. Just look at all the pink trees! Early the next morning, Jacky & Valen started their preparations for the 1st theme of their pre-wedding photoshoot, the Japanese Kimono! Super excited to see Valen in her beautiful floral Kimono! Our beautiful bride, Valen, putting on her Kimono. You will need to hire a professional Japanese make-up artist to help you put on the Kimono, it’s a really complicated process with many different layers. Fall in love with the Kimono’s intricate details. 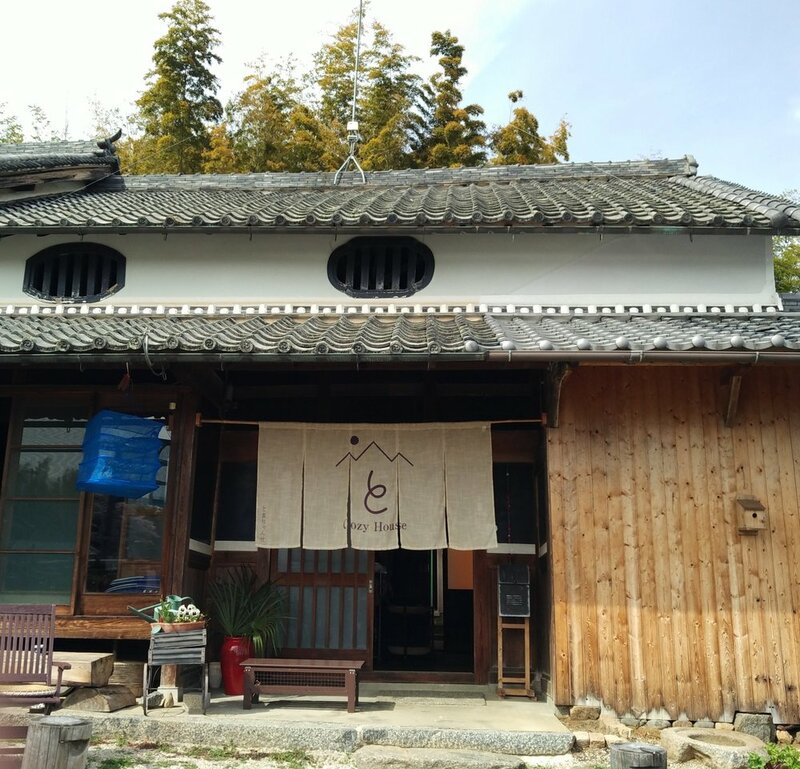 Once everything was ready, we started the photoshoot around our beautiful homestay before departing to the nearby temple of Asukadera (飞鸟寺) to continue the pre-wedding photoshoot. It was actually raining a fair bit during the morning but it did not dampen our spirits. Here are some of the best photos from the morning session. How about some raindrops on the lens for that added effect? My personal favorite from the morning! Love Valen’s natural smile & laughter. Once we were done with Asukadera Temple, we set off to our next destination which was supposedly Nara Park, but along the way, we accidentally chanced upon a really beautiful river with rows of Sakura trees along both sides of the river bank! The scene was straight out of a beautiful anime movie, it was really beautiful! Beautiful pink Sakura trees line both sides of the river bank! The ground was full of pink sakura petals! And that sums up Part 1 of our Japan pre-wedding photoshoot.